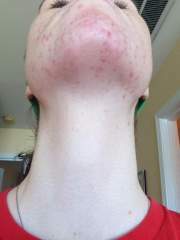 WEEK ONE / DAY 4 (I was using Proactiv until it ran out and then I switched to the Regimen because Proactiv was too harsh on my skin. 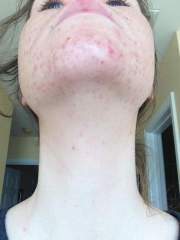 )**I am NOT wearing skin makeup besides mascara** I noticed that the redness had subsided, however, my skin was still "darkening" and "hardening". 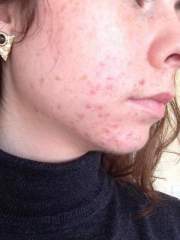 Acne was "smoothing" out, but new breakouts were still occurring. Dryness and flakiness still occurred. 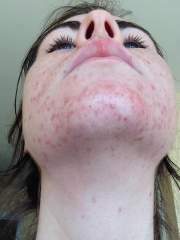 Acne marks were healing and being dried out. Still a lot of hyper pigmentation.